In June 2012, the Danish Parliament approved a new law on drug consumption rooms. In September 2011, during the Danish national election campaign, Gadejuristen, The Danish Street Lawyers, published a legal paper and a press release, “The Emperor’s New Groove – No Legal Obstacles for Drug Consumption Rooms – only Political”. The title of the paper is explicit regarding its contents, but for those interested, a summary of the document is available on the Street Lawyers’ website in English. On the 12th of September 2011, just three days before the national election – at which point it was impossible to tell whether left or right wings would come first – a NGO led by the social entrepreneur Michael Lodberg Olsen opened a mobile drug consumption room (DCR) in Copenhagen. According to media coverage, it was clear that no matter which political wing won the elections, Denmark would, for the first time ever, have a majority in Parliament which supports the establishing of DCRs in Denmark, as the “Liberal Alliance” party announced that they would support this important progress no matter which party the voters chose to elect. Unfortunately, once the new left-wing minority government was established, and despite its concerns about the high death rates among Danish people who use drugs, no mention was made of the possibility of establishing DCRs. In October 2011 a motion for a resolution on DCRs was put forward by Liberal Alliance. 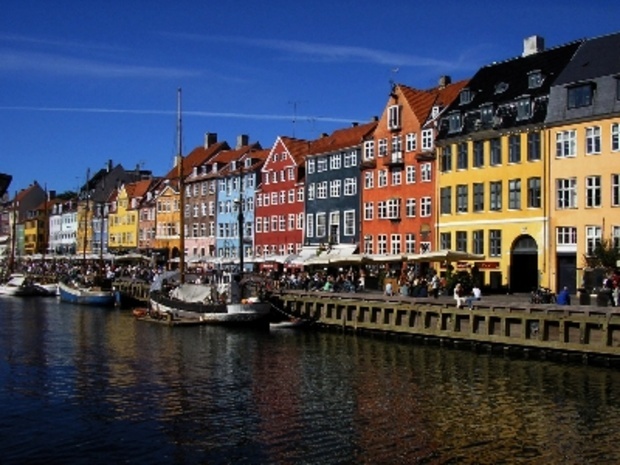 A few days later, the government finally delivered their promise to establish DCRs in Denmark. We all awaited the promised bill for almost 6 months, when Liberal Alliance decided to ask the Minister of Health for a status on the process. In the end of April 2011, the law proposal was finally put into the hearing process. Civil society was only given 4 days to submit their remarks on the proposal. The Street Lawyers refused to support the proposal and submitted an 18 pages harsh critique of the document. On the 9th May 2012, an amended and more acceptable bill was introduced in Parliament, and was followed by a hotheaded political debate during all of the three mandatory parliamentary readings. However, it must be stressed that the political debate was a lot more user- and drug policy reform-friendly than was ever seen in this country. On the 13th June 2012, the third and final reading was completed, with Joachim B. Olsen (MP, Liberal Alliance) had the Minister of Health promise that the coming DCR-guidelines being drafted by the Danish Health and Medicines Authority would not include instructions that would make DCR staff obliged to inform the police about the whereabouts of DCR clients. This is how a majority of the Danish Parliament ended up voting in favour of DCRs (63 MPs in favour, 43 against, 1 abstention), including instructions to police and the prosecutors not to search, seize and prosecute users in possession of ‘small quantities’ of controlled drugs for personal use ‘in and nearby’ DCRs. However, ‘small quantities’ remains a matter of legal interpretation. According to the guidelines outlined by the highest General Attorney, this usually relates to less than 0.2 g (= 200 mg.) of heroin or cocaine. However, in a ruling from the Supreme District Court, the possession of 1.37 g. of heroin was considered as personal use. The new law, which will come in force on 1st July 2012, also allows for Danish municipalities to establish DCRs for smoking or inhaling heroin or crack. Now it is about time for us to acknowledge and show or appreciation to the current Danish government for their continuous support for DCRs, heroin treatment and general harm reduction services, and for putting forward the bill on DCRs. Because of the support of the Liberal Alliance, the law will be able to survive future shifts in political power. The new law will finally enable us to welcome people who use drugs so that they can use in much safer conditions. We are hopeful that this new step will contribute to a much needed decrease in mortality among people who use drugs, and an increase in users’ social inclusion and dignity.